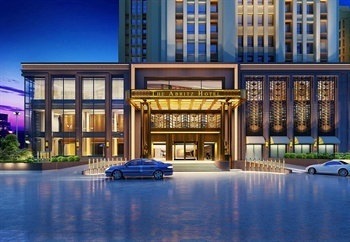 The Abritz Hotel Changchun (Changchun Aibolisi Dafandian) is located in the Changchun High-tech Development Zone, which is close to the Jingyuetan National Forest Park. The hotel is 20 minutes from the Changchun Railway Station and 45-minutes fromt the Changchun Longjia Airport. The hotel features airport pickup service, free parking, car rental service, taxi and ticket booking service, shops in the hotel, rooms for disabled guests and Wi-Fi in public areas. Guests can dine in the hotel’s Chinese or Western restaurant. Guests can also relax over drinks at the hotel’s coffee shop or lobby bar. Business guests can take advantage of the hotels business center, which offers secretarial services, multilingual staff and translation service. Business guests can host their events in the hotel’s large multifunction room or various smaller meeting rooms. At the end of a busy day, guests can relax and pamper themselves at the hotels spa, visit the sauna or get a massage. Guests can also enjoy a cup of tea at the tea house.